Fiber Optic Sensing Association urges Congress and the Trump Administration to move forward with development of standards for pipeline leak detection technology and other actions designed to enhance pipeline safety in the United States. 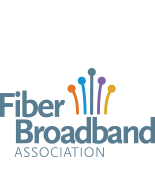 The Fiber Optic Sensing Association (FOSA), the nation’s premier trade association dedicated to fiber optic sensing, urged a House subcommittee today to provide greater funding to the Federal Railroad Administration for testing of advanced technologies to improve U.S. rail safety. The Fiber Optic Sensing Association (FOSA) today applauded PHMSA Administrator nominee Howard Elliott’s focus on technology solutions to address safety issues, including in the pipeline and rail sectors.